Download, start now, get started. You see calls to action (CTA) like these all the time, but do you ever stop to think about their impact on your ad campaigns? Oftentimes, CTAs are an afterthought hastily tacked onto the bottom of an ad. Leads know you want them to click the button so it doesn’t matter what it says, right? Well, not quite. CTAs are just as important as the ad copy and need just as much attention. CTAs are supposed to excite leads and get them to click and buy something — not just act as a placeholder. But how do you craft the perfect CTA? To find out, we’ve taken a look at some of the longest-running desktop ad campaigns available and broken down the types of CTAs they use. Here’s what we’ve learned about what makes specific CTAs so successful and what you can do to improve your next ad campaign. Adobe is a computer software company with digital products ranging from graphic design tools like Photoshop to digital marketing management tools like Adobe Marketing Cloud. 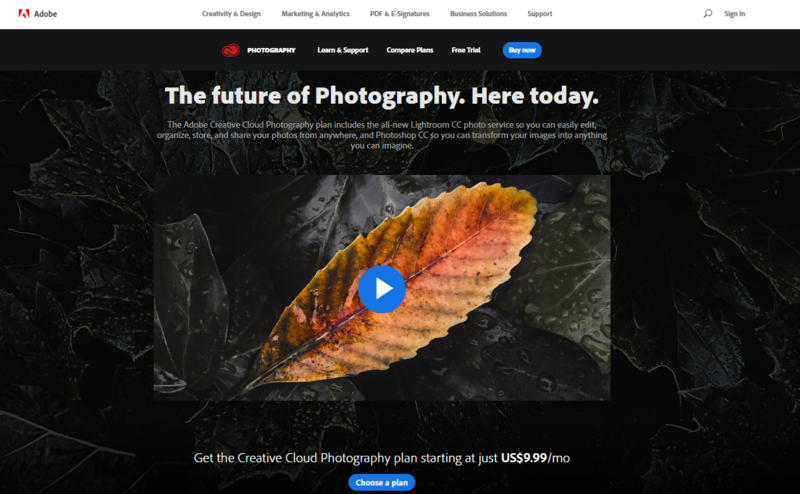 The headline of this ad, “Bye, Bye, Birdie” stands out because it speaks to the fact that the Lightroom CC product is the new and improved way for users to edit their images. With a few simple clicks, users get professional-looking images without hiring a creative team to do it for them. The CTA “Learn how” is inviting and encourages leads to click on it to find out more about the product. The position of the CTA also helps because people read from left to right. First, they see the solution the tool offers and then the invitation to take the next step. The landing page for this ad does something interesting. When leads click on “Learn how” in the ad, that’s exactly the experience they get when they get to the landing page. There’s a video above the fold that shows leads exactly what the product does and why it’s the best option. The landing page also lays out how to use the product on different devices with more about the editing features. This creates a truly educational experience because it answers many of the questions potential customers have, like how to use the tool, what makes it so easy to use, etc. Another interesting fact about this landing page is that there are two new CTAs on this page. Positioned against the black background, the blue CTA buttons stand out. This way, leads can choose to Buy now or Choose a plan. Both buttons take leads to the same page where they can choose a plan. Over the past six months alone, Adobe has spent over $2.6 million advertising on the Google network. This amount of exposure gets Adobe in front of leads in the evaluation stage of the buying cycle. With this much exposure the CTA has to be specific to each kind of add Adobe runs so that as many leads as possible convert and buy something. Zoho Books offers accounting software for small businesses. Companies can track anything from invoicing to product inventory with this tool. 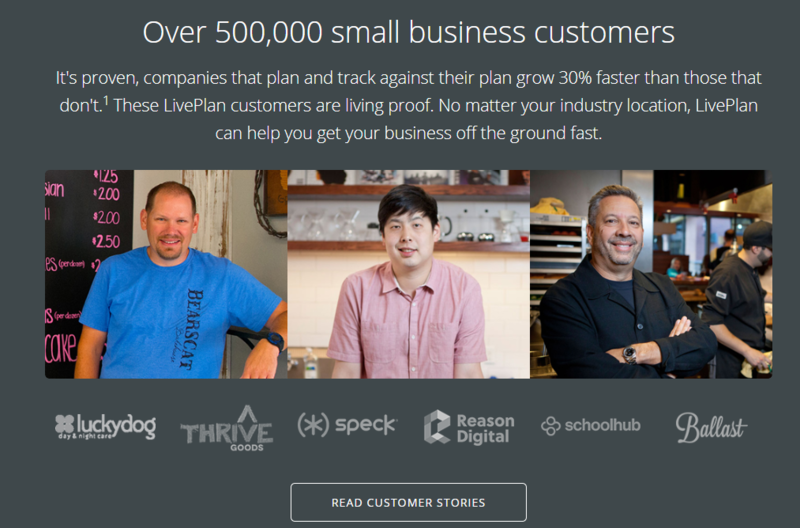 Zoho Books’ longest-running ads focus on helping small businesses keep their costs down. 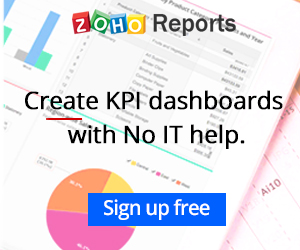 For example, one of their recent ad campaigns focused on how easy it is to create KPI dashboards — without IT. Almost ninety percent of Zoho Books’ ads are image-based with minimal text. This, combined with the use of pops of color, helps the ad to stand out and get noticed on webpages. The text in this particular ad is a simple promise that will resonate with users who struggle to create complex views or reports without getting help from IT or the development team. The CTA in blue stands out against the white background and is the first thing eyes are drawn to in the ad. The text on the button, “Sign up free,” drives home the benefit of spending less getting what’s needed. Customers get an easy way to use the tool and a free trial. The landing page for this ad does two things really well. For leads that are sold on the benefits of the product right away, there’s a lead form at the top of the page. There’s no need for this group of leads to wade through lots of information to find what they need. By having this form and CTA at the top of the page, there’s a better chance of converting these leads. Plus, the red CTA from the ad is repeated here on the landing page, so it’s clear to leads what they’re expected to do next. The second thing this landing page does well is cater to people who need a little more convincing before they sign up for the free trial. In the middle of the page, there’s an example of what the dashboards look like and more details about the functionality and a video testimonial below this. Like Adobe, most of Zoho Books’ ad spend is on the Google network. This makes sense considering that “as of 2016, there were 28.8 million small businesses, which accounted for 99.7% of US businesses.” Google has a wide reach, which helps Zoho get in front of more of their target audience — and more clicks on their CTA. 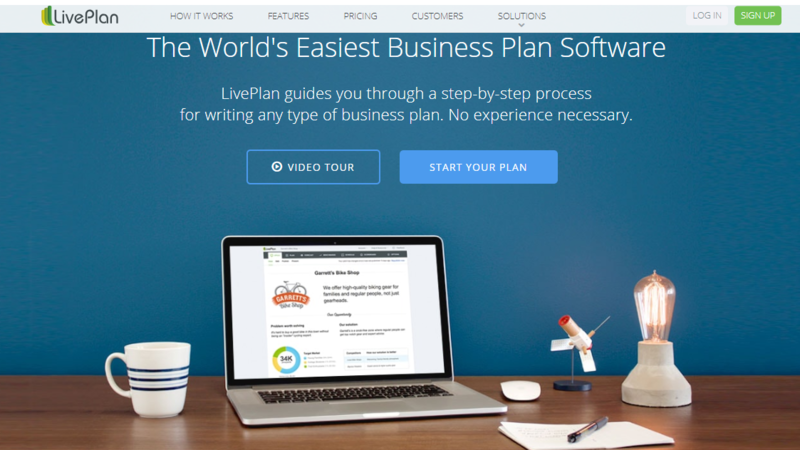 LivePlan is a business-planning software for businesses just starting out and needing help thinking through their business needs. Many of their longest-running ads repeat how easy it is to use the product to create a business plan. This speaks to people who are looking for a tool that makes this part of doing business as easy as possible. Businesses want to make a business plan without the headache of running the numbers in one app, tracking pitch presentations in another, and sharing feedback and insights with stakeholders in yet another tool. 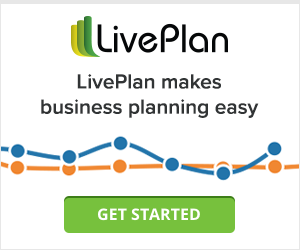 LivePlan shows how they consolidate all of these actions to help businesses through the planning phase. 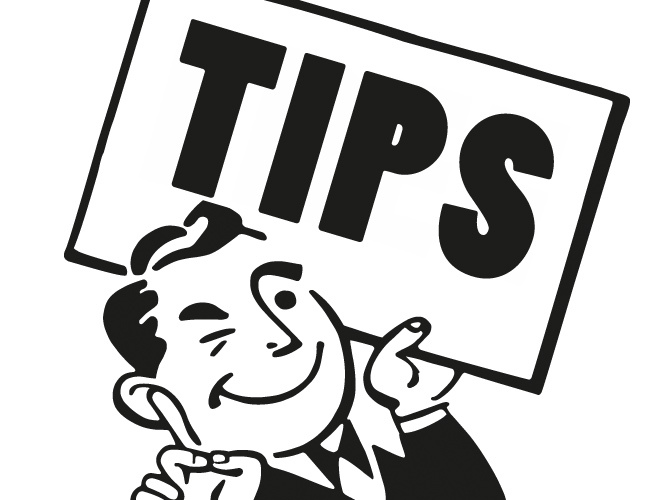 The top of the landing page gives leads two options to get started. Leads can take a video tour of the product to see how the tool works and how easy it is to use. The copy above the buttons reiterates how easy it is to use the product. Leads can get started right away and choose their plan. There are testimonials from current customers and industry experts. Both of these carry a lot of weight for prospective customers. And at the end of this section is another CTA to close the deal. All the content up to this point is designed to persuade leads to buy so that by the time they get to the CTA at the bottom, they’re primed and ready to take action. 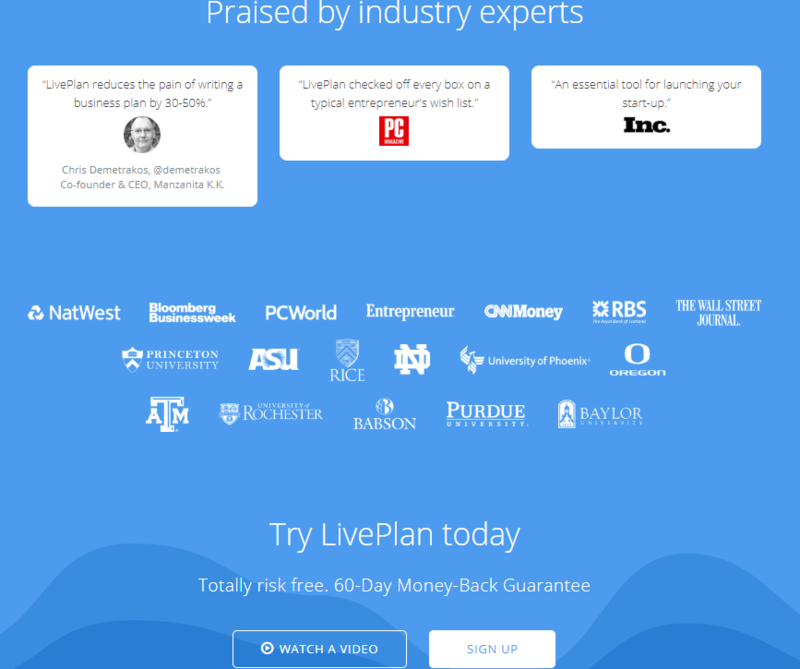 In the last six months, LivePlan has spent about $53K advertising exclusively on Google networks. It’s a large spend, but they’ve set up their ads and CTA to create a kind of funnel for leads. As more people see the ad and click on it, they’re given two options, both of which end with a CTA to buy. FilmFanatic is a movie app available on Chrome. 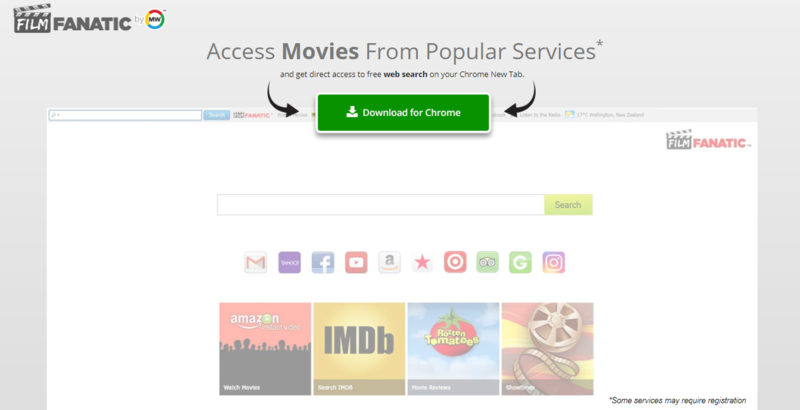 Once users download the app, they get access to free movies, updates, and more, through it. The image ads use “Start Now” instead. FilmFanatic has a fairly even split between text and image ads to help them reach different kinds of leads. The copy on all of the ads focuses on being able to watch movies for free. This is a promise that does a good job of attracting attention to the ad. After all, who wouldn’t want to see free movies? By telling leads that they can get something for free, FilmFanatic gives leads a chance to save money while doing something they enjoy. What’s great about the image ad is that it also lists the required steps leads have to take to get started. This shows leads that in three short steps, they’ll be ready to start using the app. The large green CTA button stands out and makes it clear what to do next. Notice how “start” is in all caps and the green arrow above it? These two elements draw even more attention to the CTA and do a good job of subliminally guiding leads to the next step. There’s only one bold CTA on the landing page for this ad and it says to “Download” the app. This works well with the ad CTA because leads are ready to get started and having an action on the page helps to boost conversions. There aren’t any distractions to keep leads from clicking the bright green button at the top of the page. Like the other examples on this list, the majority of FilmFanatic’s ad spend is on Google’s network. Landing pages explore the offer in more detail. Ads are meant to be an introduction to what you offer and the landing page gives more detail about the specific solution the ad introduced. 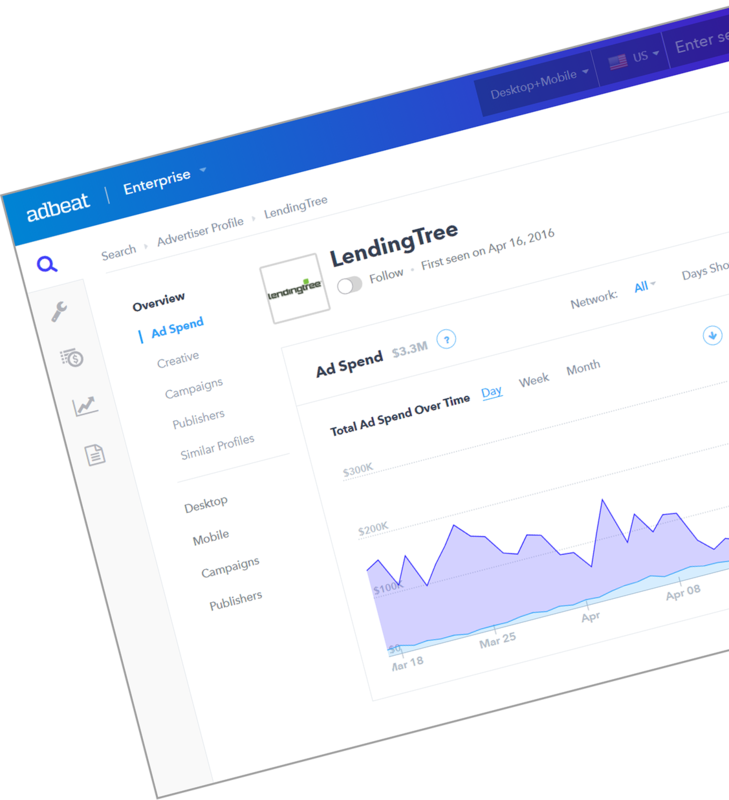 Landing pages can include lead gen forms, videos, testimonials, feature overviews, and more, as a way to show leads exactly what they’re getting. Offer multiple CTAs on the landing page. You’ll notice that all of the landing pages — except FilmFanatic — have more than one CTA. This way, no matter where leads are on the page, there’s an easy way for them to take action — like Buy, Sign up or Download something. Make sure that your CTAs are in a color that stands out and uses words that repeat the ad CTA or offer the next step — like the Adobe ad that gets leads to “Learn More” and the landing page that got leads to “Buy Now” or “Choose a Plan” once they’ve learned more. Copy used in the ad has to introduce the solution. Understand and segment your audience so that your ad campaigns speak to specific needs. Ads are meant to get your audience interested and excited about your solution and wanting to click to find out more or buy something. Be specific and avoid ads that say “Click Here” or “Submit.” You’ll notice that all of the CTAs we looked at give clear directions to leads so that they know what to expect. Don’t spend time crafting great ad copy without giving the same amount of attention to the CTA. Your ad copy is the intro and the CTA is a clear invitation and closer. The key here is to find what combination of these findings works for you. Start by choosing one of the key findings above and test it out for a few months. If you see that more customers are converting from your ads, then the adjustment makes sense for your business. Add more of these pointers over time. If you’re able to run ads for longer than a few days or weeks, then you have time to experiment with what your ads will look like. Will you focus on text or image? How will your CTA tie in with your ad copy? How will your landing pages expand on the ad in an exciting way for leads? Make one adjustment at a time and check to see the difference it makes.